Ashlands Fencing was established in 1999 and have built an excellent reputation for the installation of quality galvanised steel and timber fencing solutions for independent and corporate clients alike. 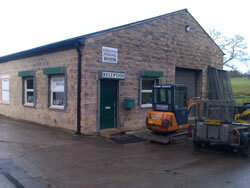 Based in Ilkley, West Yorkshire Ashlands Fencing have clients nationwide. We have significant experience in the field of security and perimeter fencing, working closely with many local authorities. Typical installations include perimeter fencing for schools, tennis courts, ball parks and security fencing for factories and storage depots. The increase in crime and vandalism has dictated the need for secure perimeter fencing systems. Ashlands Fencing are leaders in cost effective solutions to any perimeter problems. Palisade fencing is regarded as being highly effective and efficient for security purposes. A wide range of specifications are installed offering a choice of conventional “D” type paling or the more recently developed “W” section paling, both of which are offered with a variety of heads dictated by the risk assessment for a particular site. Ashlands Fencing install only the highest quality products. All timber is pressure treated, galvanised products are powder coated to a wide range of colours. All galvanised products are supplied by many of the country’s top manufacturers. The success of Ashlands Fencing has been attributed to the high levels of professionalism and personal service invested in every project. The Director personally oversees every contract undertaken. For further information on our products and services contact us today.